The natives of the island of Kudahuvadhoo in Dhaalu atoll in the south of Maldives, who claim to have seen a low flying large aircraft painted in red and blue, on the morning of that fatal day a year ago when Malaysian airline MH370 was reported missing, remains adamant that the plane they saw could have been the missing airliner. Haveeru, Maldives’ leading local daily newspaper on the anniversary of the incident has again contacted the locals of Kudahuvadhoo and have reported details from different individuals who claim to have witnessed the low flying plane. Humaam Dhon Maniku, a secondary school student attending Grade 9 of the island’s school said to the paper, that even at that time it was something extraordinary, however he didn’t give much thought to it as he was not aware of any plane that has gone missing. Humaam said that he was getting ready to go to a weekend extra class at eight in the morning on that Saturday, while he was in the yard of his home which is about 100 feet from the islands harbour, he heard a loud noise to which he looked up and saw a huge plane flying very low over the harbour. It was around 7.30 – 8.00 am that day. He was fixated at the plane until it disappeared from his view and he is still sure that blue and red were the colours on the plane. He said he didn’t think there was any technical issues with the flight as he recalls it flew smoothly. Some others who were trying to catch fish while wading in the lagoon on other side of the island said they saw the plane was flying with some swaying from side to side. They said that the red and blue painted plane came from a northerly direction and was heading on a southeasterly course. They do recall them commenting amongst themselves, whether the plane was about to crash, however it flew until it disappeared from their view. They didn’t see it crash. 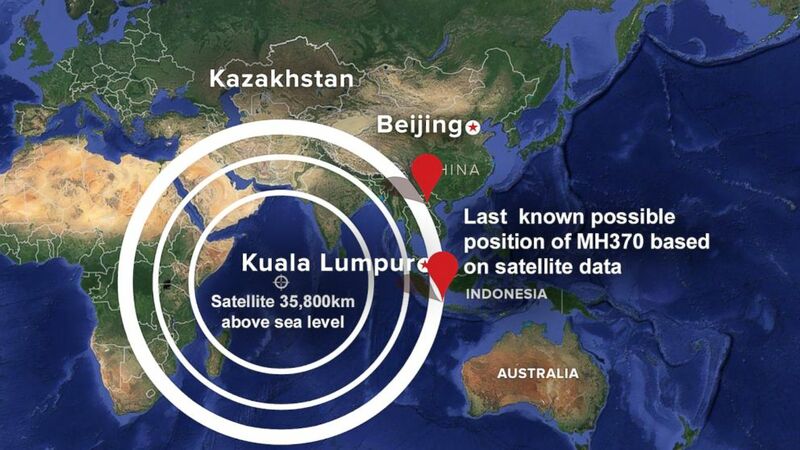 The 6 fishermen still believes the plane they saw could have been the lost plane. 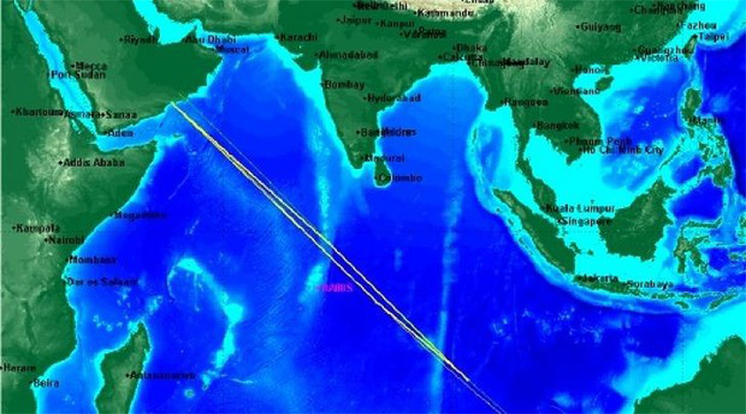 It takes 4 hours from Kuala Lumpur to Maldives by air and some aviation experts have said that there is a possibility for the plane to reach Maldives. 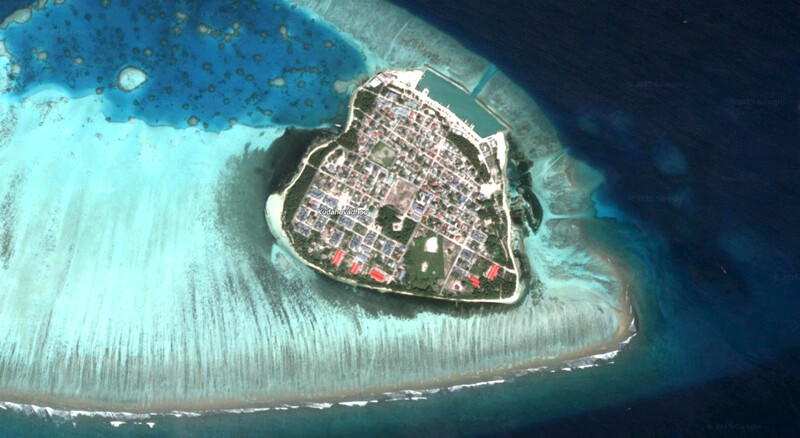 When Maldives and Malaysian authorities dismissed the reporting of the sighting by the natives of Kudahuvadhoo, the islanders were laughed at for their story of the sighting.